BACASSI - the new SEINEN MANGA by Saturday AM co-founder / APPLE BLACK creator - Whyt Manga. 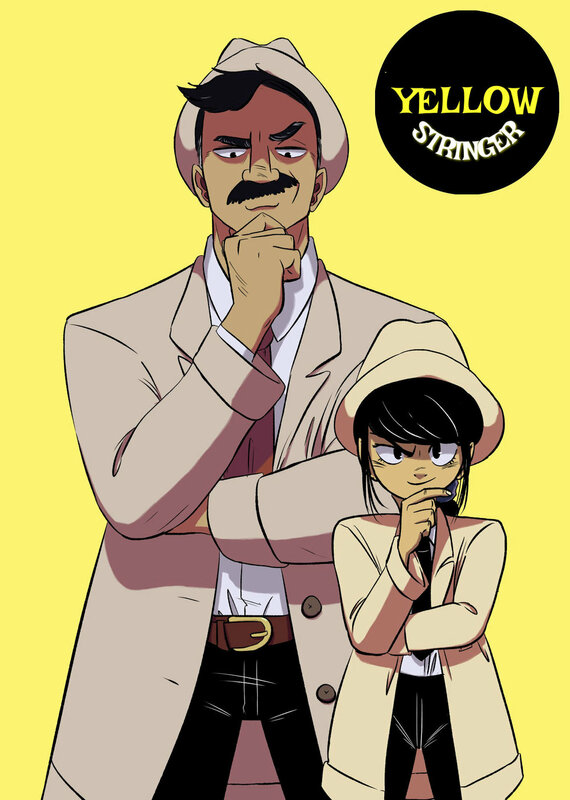 Popular YOUTUBE star and Saturday AM co-founder, Whyt Manga (nee' Odunze Oguguo) debuts his NEW MANGA unlike anything we've ever seen. Merging Nigerian culture with more mature comedy and over the top fantasy, BACASSI promises to shock and surprise the fans of his HIT Saturday AM shonen webcomic, APPLE BLACK. BACASSI debuted in issue #2 of Saturday PM. BLACK SAMURAI by Robert Burnhans is a historical fantasy seinen manga. african warrior. japanese samurai. legend. Up and coming creators Robert Burhans and Alexander Oladokun have joined forces to bring a tale that will excite fans around the world. YASUKE, the black samurai, is a REAL-LIFE African Samurai whose story is only now becoming grounds for novels and major motion pictures (by Lionsgate) but Saturday PM will do something unique. We're taking the historical fantasy genre from traditional and bringing it a diverse, post-modern spin! Get ready for the hidden story of this noble warrior. 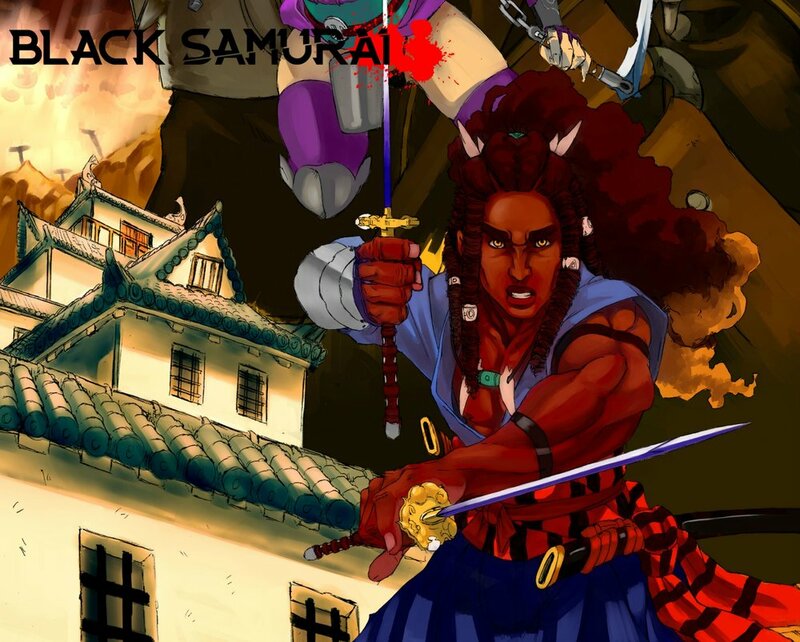 YASUKE: BLACK SAMURAI debuted in Issue 3 of Saturday PM. The STREET FIGHTER IS NO STEREOTYPE in this saga. Hidden from the public eye of New York City, fighters test their might in bloody spectacles to become champions of underground MMA. In these arenas, where skill is matched only by brutality, Karim Yun looks to prove that his brand of Taekwondo can topple even the strongest of adversaries. As Karim’s notoriety grows, his family is threatened, and the only way to save the person closest to him is to compete in the underground’s most infamous and deadly circuit, “The Battle of Monsters” (B.O.M.). NAOMI could have worked at any top NEWSPAPER on the East Coast. She was deemed the sort of investigative journalist that would win a PULITZER before she was 30. DEMON BABIES IN IOWA PIGGLY WIGGLY and HAUNTED REFRIGERATOR REVEALS THE DATE OF THE APOCALYPSE are just two of her articles at the WORST TABLOID PAPER in America. But this suits her because Naomi knows that MONSTERS ARE REAL and she’s going to uncover them all on the trail to discovering what killed her father. She is a true muckraker…a true YELLOW STRINGER. YELLOW STRINGER debuted Saturday PM #1.